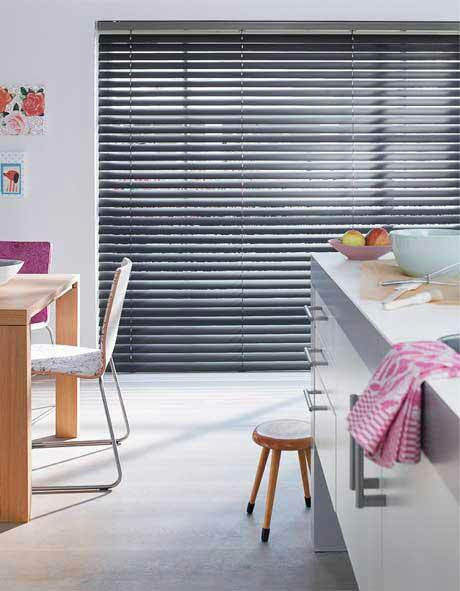 The Slimline range of venetian blinds are available in a wide range of trendy colours, from white venetian blinds to just about any other shade. They come with cord-operated lifts and wand control for tilting the slats. The 50mm aluminium venetian lets in more light because of the larger gaps and is available with a wide cloth ladder tape which gives a stylish retro feel. Both lift and tilt functions are cord operated. Even at these low prices we offer Free delivery to most of the country. 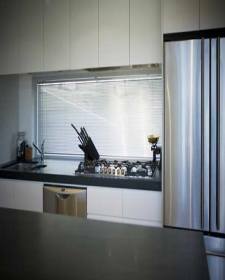 On wider width blinds this makes them a great deal! Blinds On The Net's range of aluminium venetian blinds online will give your windows the extra boost of style they need. Blinds On The Net are expert suppliers of both aluminium venetian blinds made to order and ready-made, providing you with a tailored look to suit your windows. For your convenience, Blinds On The Net also provides a measuring guide with installation videos and instructions for your venetian blinds. Contact Blinds On The Net today to buy your cheap venetian blinds and notice the difference they will make in your home. When you order a FREE sample of our venetian blinds, you will see why Adelaide, Brisbane, Melbourne, Perth, Sydney, Queensland and Victoria constantly depend on us to offer them high-quality and cheap venetians. Don't settle for second best - rely on the experts when it comes to decorating your home. Deliveringcheap window blinds Australia-wide, our extensive range of aluminium blinds are functional, elegant and practical. Available in both 25 and 50mm blade widths.